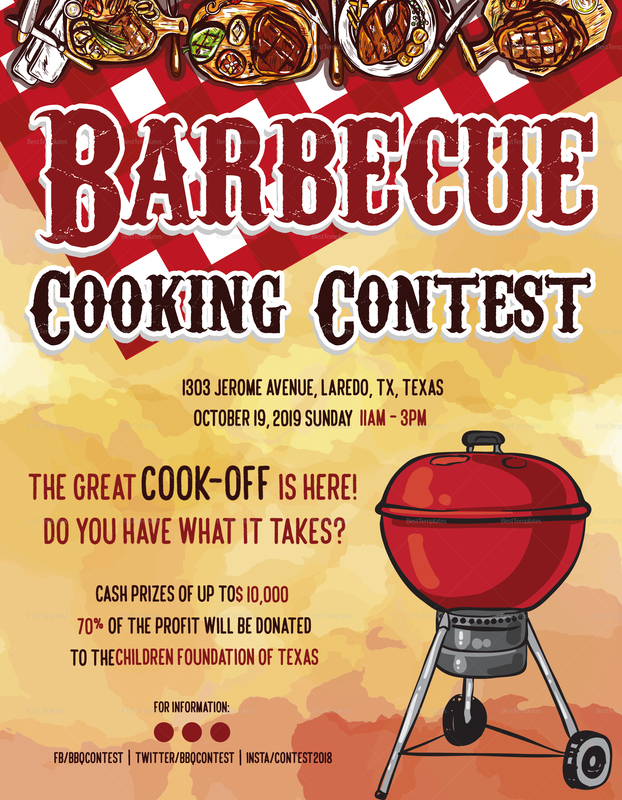 Perfect for your upcoming BBQ cooking contest, download this flyer template now at a very low price. 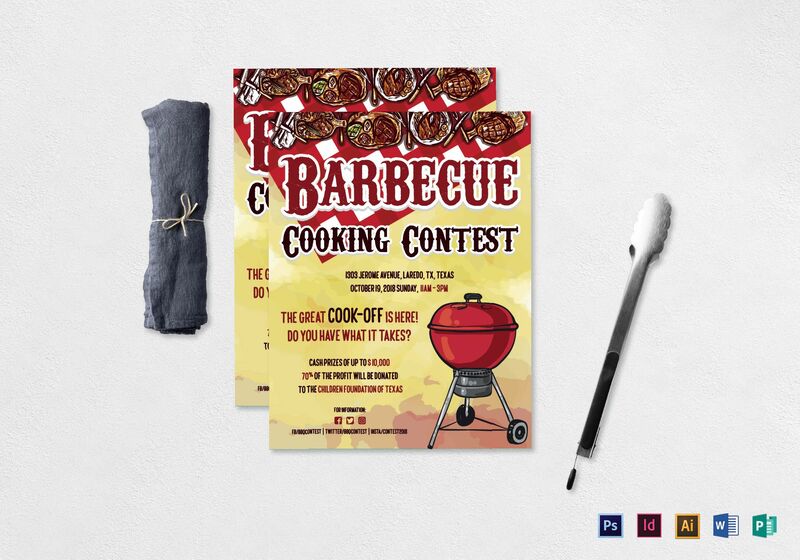 The template uses high-quality artwork and layout that is easy to customize with Photoshop, InDesign, Illustrator, MS Word, and Publisher. It uses a CMYK color space with a 300 DPI resolution. Fast download and easy to save in your PC or any mobile device.